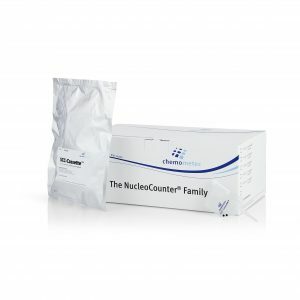 Shop / NucleoCounter® Consumables / Cassettes / NucleoCassette™box with 100 pcs. The NucleoCassette™ is a specialized device for viability and cell count in the NC-100™. The NucleoCassette™ contains immobilized propidium iodide. When the cassette has been loaded with approximately 60 µl of cell sample mixture the PI is dissolved and mixed with the sample, staining the nuclei of dead cells. 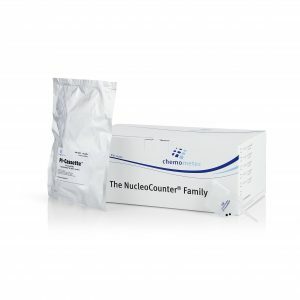 NucleoCassette™ is used in NC-100™ and YC-100™.